Welcome to the beautiful island of Cozumel. 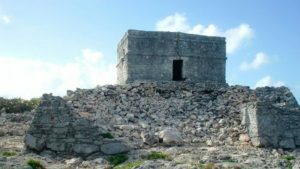 Whether you live on Cozumel, are staying here for a week or more, or…are visiting us just for the day by Cruise, there are quite some possibilities to visit Mayan Ruins while in Cozumel. We can imagine the info about Mayan Ruins in this area is quite overwhelming. Lets help you out! The options we would like to inform you about are the Mayan Ruins here on Cozumel called San Gervasio. Also the Mayan Ruins of Tulum are easy to reach from Cozumel. Even though a bit further from the island, the archeological site of Chichen Itza should be on your to do list. And last but not least, did you know there is a way to visit the 4 most important Mayan Ruins close to Cozumel in 2 hours only….? Oh really…. 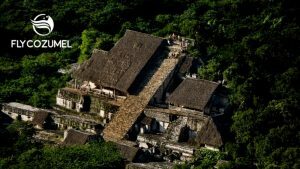 Are there Mayan Ruins in Cozumel? YES! 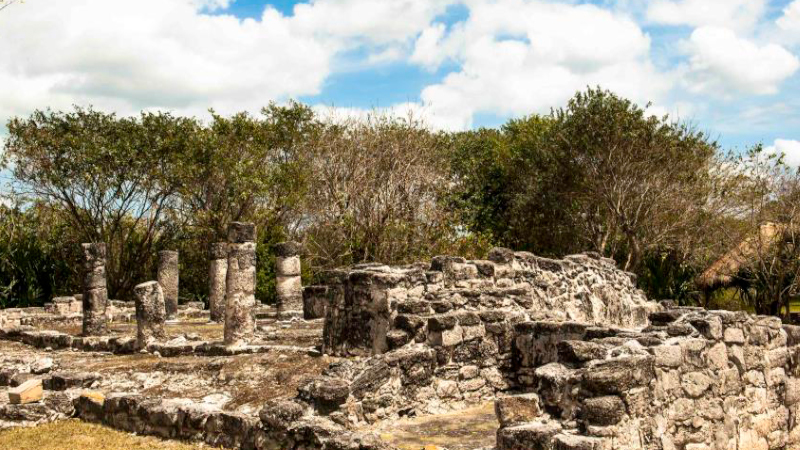 The most known Mayan archeological site is called San Gervasio. It is located in the North East part of the island and very worth it to visit. You won’t find big structures like for example the iconic Kukulcan pyramid in Chichen Itza; the Mayan Ruins of Cozumel / San Gervasio are more humble in nature. And exactly for that reason we love to visit these Mayan Ruins. 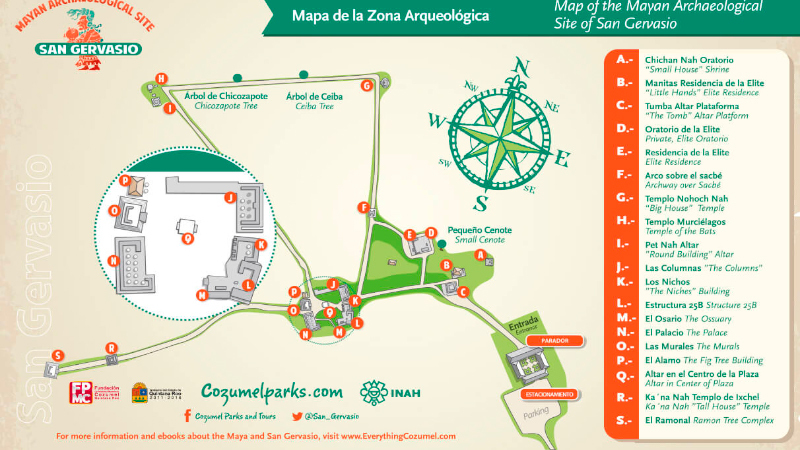 Currently the Mayan Ruins of Cozumel are open from Monday to Sunday from 8am to 4pm. The admission fee is less than 10usd per person. TIP: Do you like knowledge? Or are you interested in a self guided tour through the archeological site? We ourselves enjoyed reading Mayan Ruins of San Gervasio Mexico Cozumel by Ric Hajovsky. 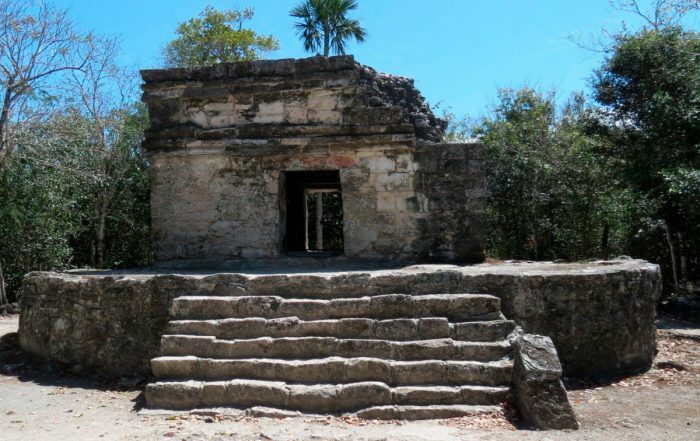 A guide to the Mayan Ruins, including a description of the history of Cozumel. The book is amazingly complete; it contains more about Mayan life, a self guided tour through the Mayan Ruins in Cozumel as well as describing the Mayan Calendar. How to visit the Mayan Ruins of Tulum from Cozumel? The Mayan Ruins of Tulum are one of the most famous archeological sites. 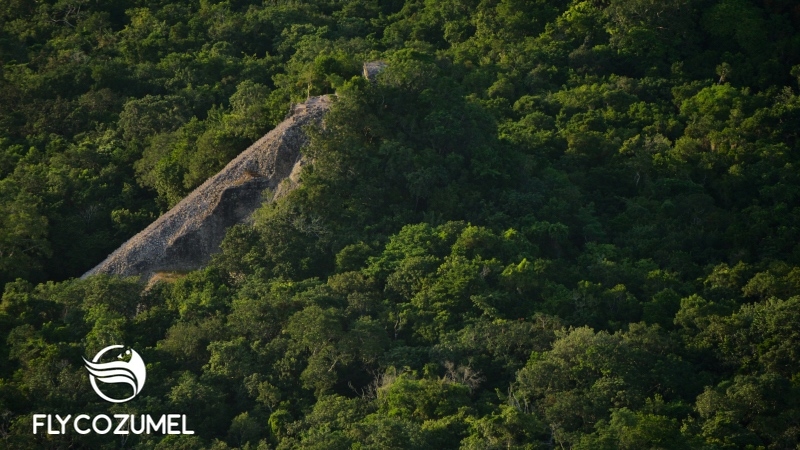 Who does not know the iconic view of Mayan Ruins overlooking the Caribbean Sea? When you are staying in Cozumel you have a quite a few options to visit Tulum. Tulum is definitely worth the visit when you are staying in Cozumel! 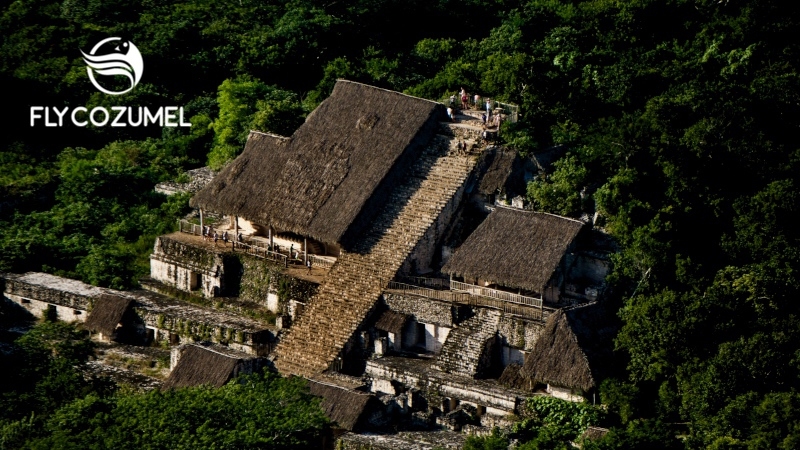 It is a great way to learn more about Mayan history and culture. The archeological site is quite the icon, bigger than the Mayan Ruins in Cozumel, smaller than than the site of Chichen Itza. The Mayan is Ruins are open Monday through Sunday from 8am to 5pm. Is it possible to visit the Mayan Ruins of Chichen Itza while I am in Cozumel? Yes you can. The most common way is to take the 40 minutes Ferry ride from Cozumel to Playa del Carmen. Then you could think of renting a car or taking a taxi. All and all the trip by water/land from Cozumel to reach the archeological site of Chichen Itza will be around 4 hours. The route itself through Quintana Roo and Yucatan is pleasant. And when you are able to stay the night you are also able to see the night show at the Mayan Ruins of Chichen Itza. 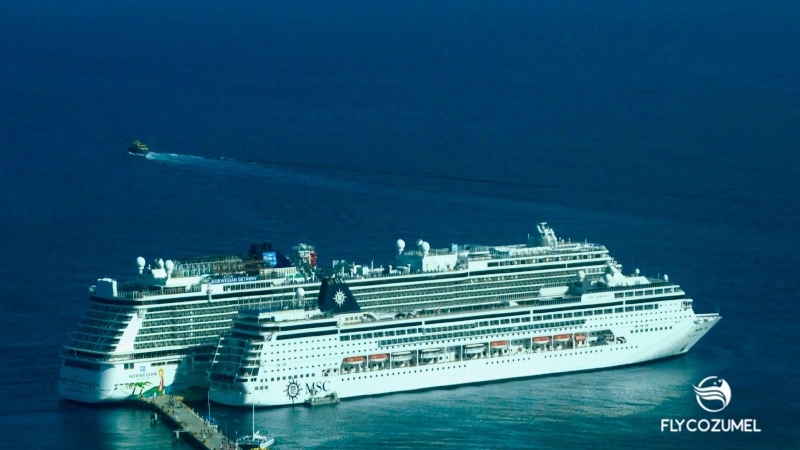 It is different when you arrive by cruise. We often hear that the total travel time takes about 8 hours and the actual time at the Mayan Ruins is not more than 30 minutes. The other option is going to Chichen Itza with us. 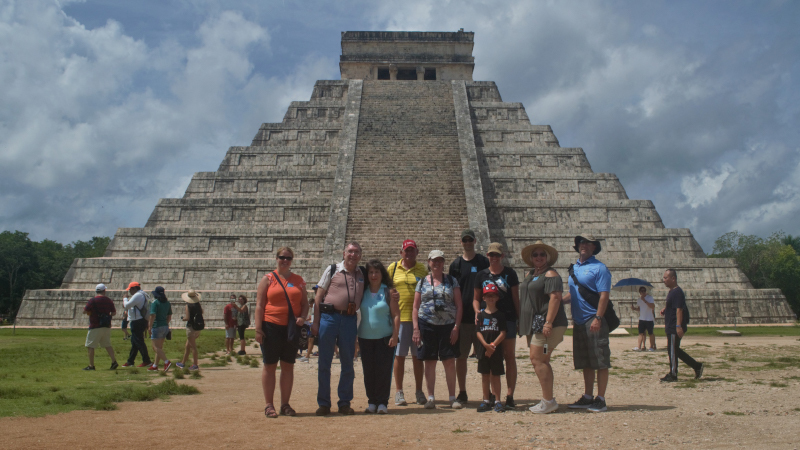 We fly you comfortably in 35 minutes from Cozumel to Chichen Itza. Indeed you can skip the ferry, the bus, the crowds and the hot weather. 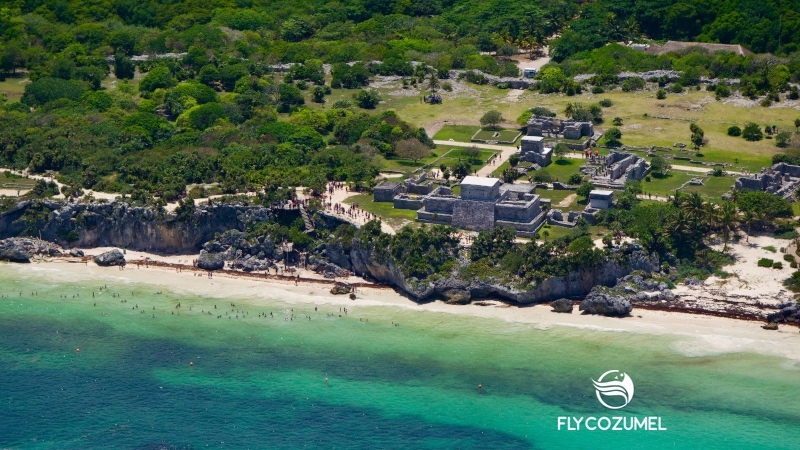 In general our Chichen Itza by Airplane from Cozumel Tour last between 4 and 5 hours… in total! Including a 1.5 to 2 hours guided tour through the site. 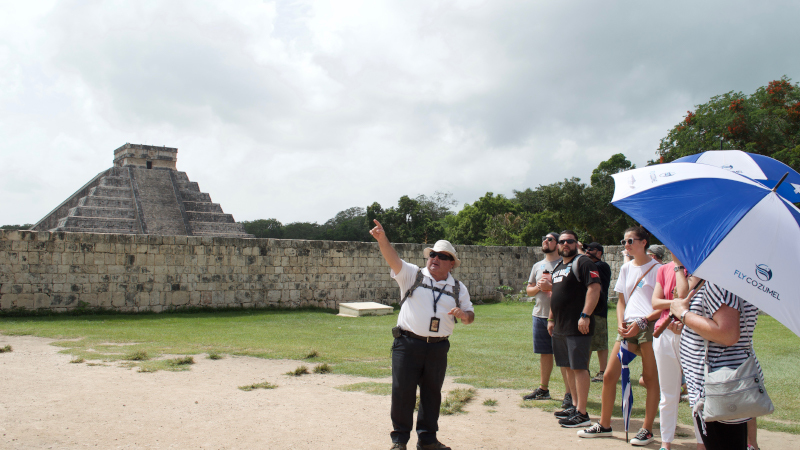 So when you arrive by Cruise in Cozumel and are interested in Mayan Ruins, then this is definitely the way to do it: https://flycozumel.com/product/cozumel-chichen-itza-excursion/. Is it possible to see multiple Mayan Ruins from Cozumel? 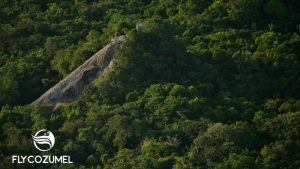 Looking for more info about Mayan Ruins in or from Cozumel? We at FlyCozumel are proud inhabitants of the Caribbean island of Cozumel and are happy to provide helpful information to visitors. Feel free to drop us an e-mail if you are looking for more information about Mayan Ruins in or from Cozumel: +52 987 5648162 or bookit@flycozumel.com.